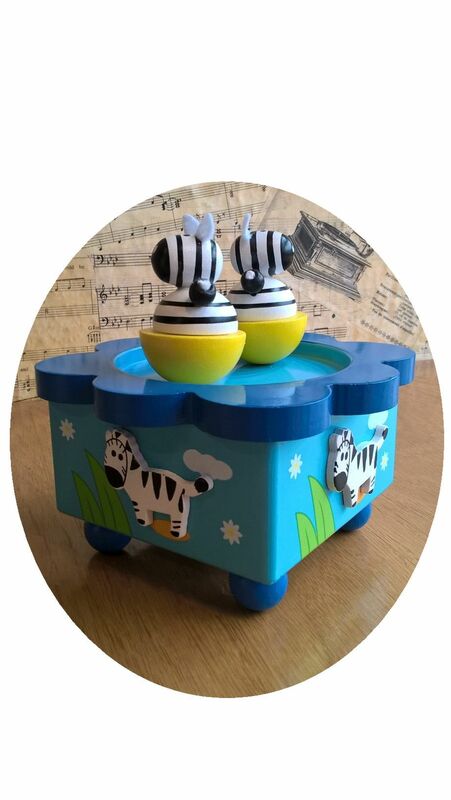 This is a beautiful wooden music box with dancing zebra figures on the top. 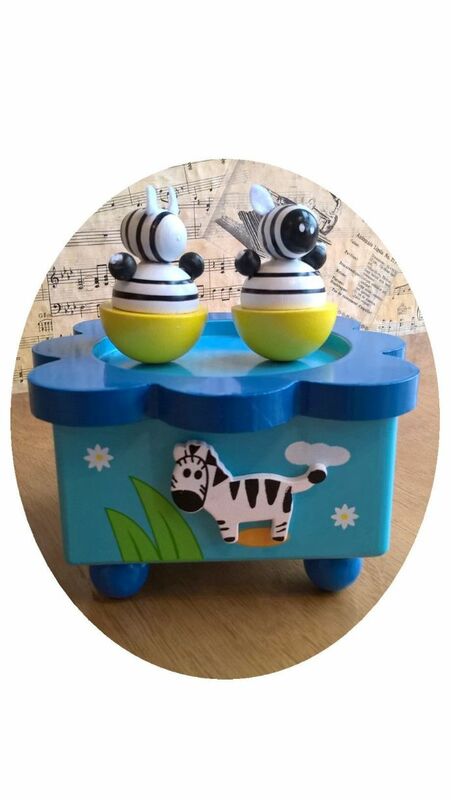 Simply wind the key on the base and watch the zebras dance and twirl to the music. 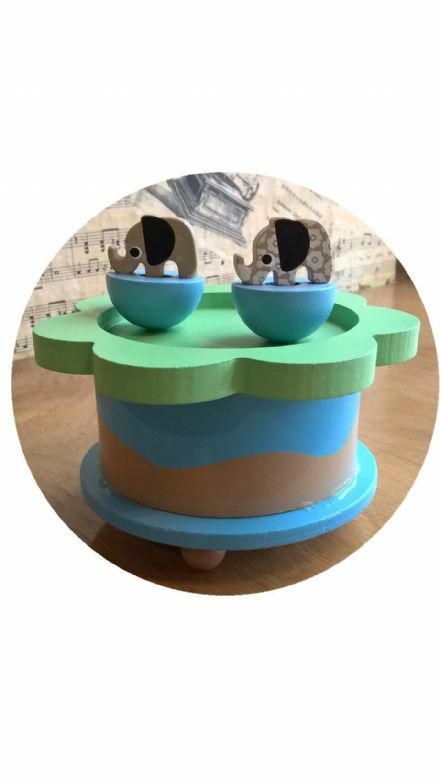 This brightly painted music box is fitted with the tune 'Old MacDonald Had A Farm'. It makes an ideal birthday, christening or Christmas gift. Dimensions:- 10cm x 10cm square base, height including zebras is approximately 12cm.